Since advanced weapons are available in much science fiction—the famous “ray gun” is iconic—it’s surprising how often a fight comes down to the humble, and archaic, sword. You’d think this would be a classic case of “brings a knife to a gunfight.” Why doesn’t the blade-wielding attacker get wiped out immediately by an opponent with, say, advanced automatic weapons? How does a science fiction setting justify the continued usefulness of swords—and why? 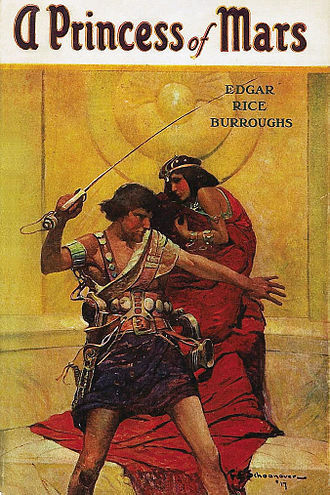 Edgar Rice Burroughs’ Barsoom stories are full of noble heroes engaging in swashbuckling swordfights with the foul villains. (Those who haven’t read the books may have seen the flawed, but underrated, movie adaptation “John Carter [of Mars]” a few years ago.) This is despite the fact that most of these warriors are also equipped with guns firing explosive radium bullets. Why don’t they use their guns? In Robert A. Heinlein’s tongue-in-cheek Glory Road (1963), a recently-discharged veteran, whose expertise happens to include fencing, is recruited by “the most beautiful woman in any world” for a mission in one of the “Twenty Universes.” In that particular universe, the laws of nature are different: firearms and explosives don’t work. But blades do. This gives us a traditional sword-swinging hero (whom Heinlein can then merrily deconstruct throughout the story). Heinlein also makes the point that a blade can be useful, no matter how advanced your technology, in close-quarters combat; which is (I assume) why today’s soldiers still occasionally use bayonets. 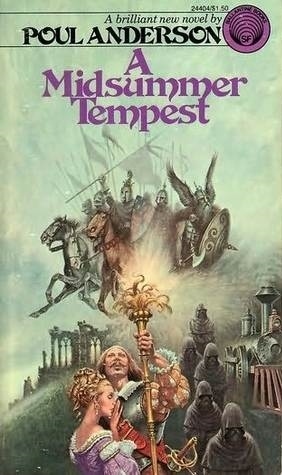 A similar gunpowder-won’t-work-in-this-universe situation is set up by Roger Zelazny in his Chronicles of Amber, where Zelazny’s immortal hero, Corwin, is among other things a master swordsman. However, in The Guns of Avalon, Corwin solves the problem by finding a universe where there’s a gunpowder analogue that does work where regular firearms do not. 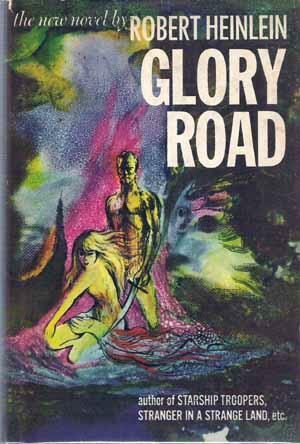 Both Glory Road and Amber make it hard to decide whether we’re reading science fiction or fantasy—which is par for the course where SF swordplay is involved. 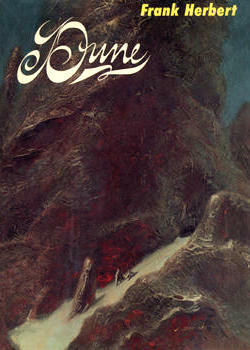 The climax of Frank Herbert’s classic Dune (1965)—after atomic explosions, an attack by immense sandworms, and a clash of unbeatable armies—comes down to, you guessed it, a one-on-one fight with blades. Herbert gives us a combination of reasons to work with. His characters learn fencing because their personal force shields stop fast-moving projectiles, such as bullets, but are less effective against relatively slower attacks, such as a sword thrust. This is a clever science-fictional reason to preserve the swordfighting trope. Cultural factors also enter in. The final duel specifically occurs because, as in Burroughs, there are formal rules of vendetta or kanly that allow for such single combat. You can see the Dune swordfights in video adaptations: the 1984 movie by David Lynch, or a 2000 mini-series on the Sci-Fi (now Syfy) Channel. Of course the case with which most of us are familiar is the famous Jedi Knight “lightsaber” in the Star Wars stories. 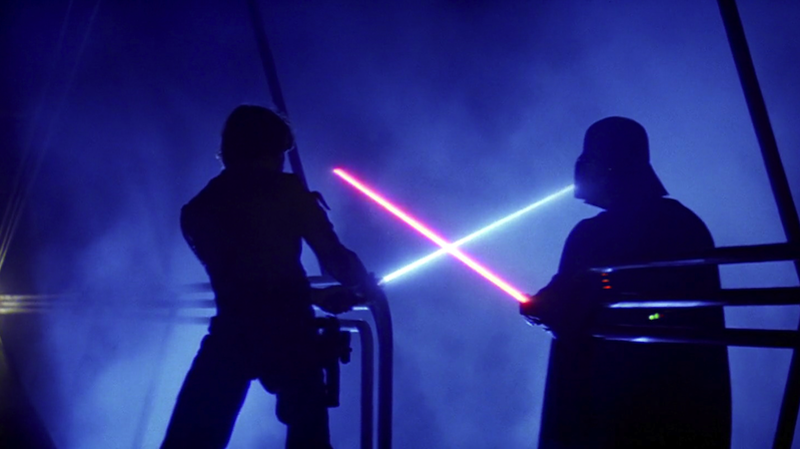 Knights, of course, have to carry swords, and Lucas has made the lightsaber an iconic emblem of his universe. What makes a sword-like weapon useful here is that the Jedi Knights can actually use them to deflect, or even redirect, gunfire (“blaster” bolts). Personally, I’ve always felt that the only way this could possibly work is that precognition allows the Jedi a moment’s unconscious awareness of where and when the next bolt will come. No one’s reflexes or muscles could possibly be fast enough to intercept something that fast without foreknowledge. 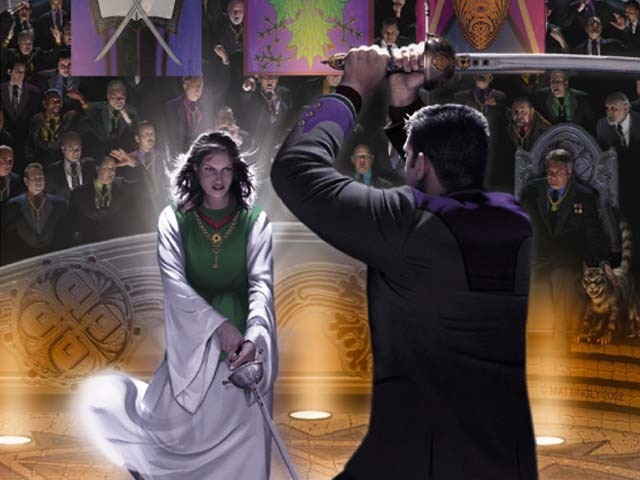 We’ve seen several ways to justify the use of swords in a high-tech science fiction environment. 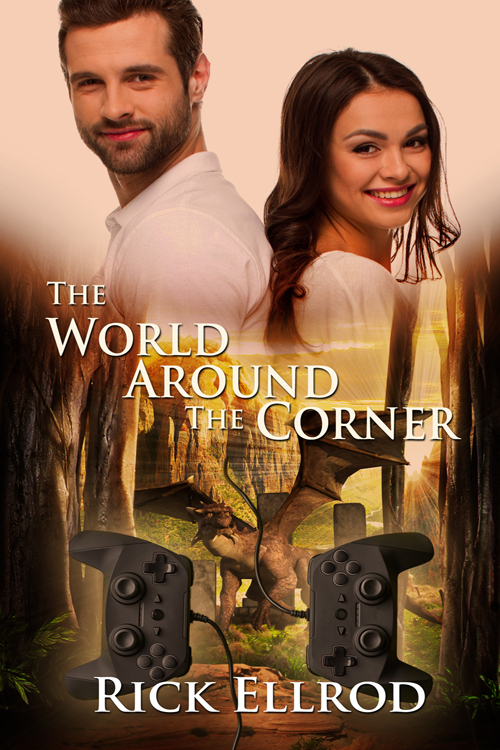 It’s a separate question why authors and readers enjoy such scenes. I think one reason is that sword-to-sword combat allows for a personal engagement more effectively than a gun duel. Much has been said about the depersonalization inherent in the use of long-distance weapons. In a genuine battle, we may pragmatically seek the most effective means to prevail, whether personal or impersonal. But in a story, individual characters, and the drama of their interactions, are at the fore. A person-to-person duel between hero and villain is more viscerally satisfying than wiping out the opponent at a distance. Using a sword also requires more physical skill, strength, and endurance than using a gun. It’s been pointed out that one of the ways the development of firearms changed the nature of war was by enabling lightly-trained recruits to fight competently, without the lifetime’s training needed to make a good swordsman. If a story wants to show off the physical excellence and expertise of the combatants, a swordfight will do this better than a gunfight. Of course, pure bare-handed martial-arts combat, or fighting with other melee weapons like staves or maces, can accomplish the same things—which is why we frequently see these, too, making their appearance incongruously in SF contexts. Finally, a swordfight may be more prolonged than a gunfight, because blades can do more gradual damage than bullets and thus allow for longer duels, intensifying the drama. This isn’t always the case. In the page on Single-Stroke Battle, TV Tropes observes that “[r]eal sword fights often take only a few seconds or even a fraction of a second, with one solid hit generally being enough to take a man out of the fight (contrast this with Flynning).” One thinks of the powerful scene toward the end of David Weber’s Flag in Exile where Honor Harrington does in fact cut short a lengthy duel with one blow. But this is precisely where an author can set up the desired situation to best advantage. 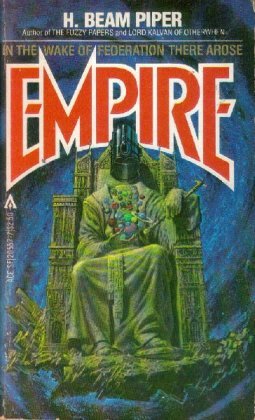 No matter how much futuristic SF may pervade our storytelling, then, we’re not likely to see the humble sword retired any time soon. We talked last time about SF writers’ fictional histories of the future. There’s another feature of such backgrounds that must be taken into account. One of the downsides about a future history is that it blunts the effect of a happy ending. Those of us who enjoy traditionally constructed stories like to see a happy ending. It won’t be unreservedly happy, of course. A story is better if, as TV Tropes puts it, the main characters earn their happy ending—which means they will have gone through a lot of trials and tribulations first. And there are likely to be losses along the way: people who die, possibilities that are lost. 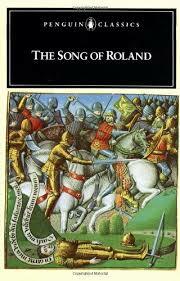 But it’s more satisfying if some good is achieved, or at least preserved, in the course of a story. Even those who scorn the happy ending as naïve generally aim for some sort of closure or conclusion. It’s pretty generally unsatisfying to read a tale in which nothing at all is accomplished or resolved, even in part. Such stories exist, but I suspect they appeal mainly to readers so convinced of the meaningless of life that they perceive a pointless story as an affirmation. For purposes of this discussion, I’m going to assume that one of the elements we look for in a good story is at least some degree of favorable outcome. This is particularly true of love stories. Alasdair MacIntyre once remarked that in Jane Austen’s novels, marriage occupies the place that death occupies in real life. It brings events to a conclusion. So it is with many or most love stories, which focus on the formation of a relationship and how it reaches some watershed moment—frequently the commitment of marriage. Stories about how a healthy marriage proceeds, though exceedingly interesting and valuable, are much more rare—and much harder to write. And this reflection begins to illuminate our problem. If we go on telling the story after the high point of the marriage, we run the risk that subsequent events won’t live up to that peak of expectation. For example, I’ve seen several sequels to Pride and Prejudice that pick up after Elizabeth and Darcy’s marriage; but they don’t tend to be nearly as interesting as the original. This is true not only of love stories, but of all stories. At the end of Star Wars IV: A New Hope, victory is declared, the Empire’s plot is foiled, we exit on cheers and applause. But at the beginning of the next episode, the rebels are on the run—again—and by the following installment, even the Death Star is being rebuilt. This sort of thing can rather take the bloom off the original victory. Aaron Leitko’s December 2015 article on Star Wars VII makes this point about “franchises” that don’t end: “the galaxy can never truly be saved. It is always in peril. With each victory, a new and greater threat amasses over the horizon. 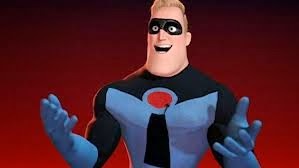 Our childhood heroes are destined to struggle onward until they get old, run out of luck, or are conveniently written out of the script following an unsuccessful contract renegotiation.” One is reminded of Mr. Incredible’s fretful remark at the opening of The Incredibles: “Sometimes I just want [the world] to stay saved.” Don’t we all? A future history, in effect, equips every story in the sequence (except for the last one) with long-range sequels. This means the problem of stabilizing the happy ending applies not only to the individual characters, but to the story’s large-scale outcome as well, like the struggle against the Empire in Star Wars. Not every imagined history has to embrace a deterministic or cyclical theory like Piper’s. But any realistic history has to recognize that things don’t always get continuously better in this life. There are setbacks, reversals, and recrudescences of attitudes and problems we thought we’d disposed of. We can legitimately hope that our favorite characters’ victories will make things better at least for a while—but the betterment will not last forever. 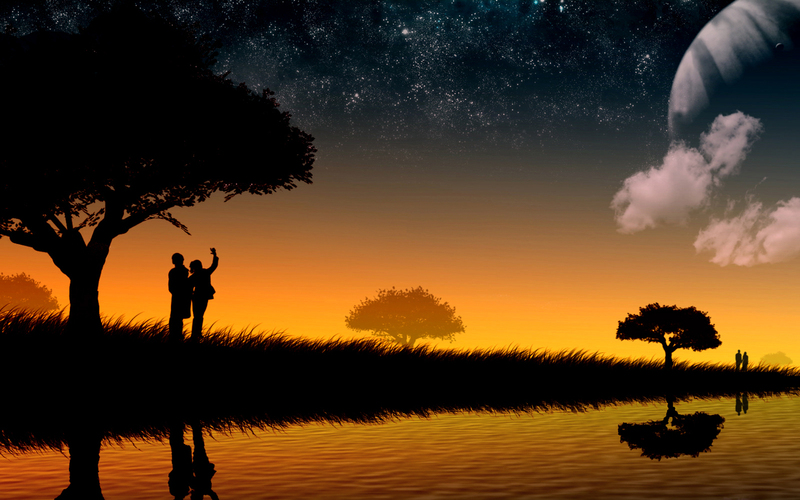 We need to be willing to accept a happy ending that is not unqualified. Something can be good without being forever. Subsequent failures do not invalidate genuine achievements. To enjoy a future history, we have to recognize that the uncertainties of the future do not extinguish the glory of success. Our newly-wedded lovers, for example, will have their ups and downs, but that doesn’t keep their lives from being happy on the whole. The same is true of civilizations—the large-scale achievements whose fate is frequently at stake in adventure stories. The establishment of a better world can make a lot of people’s lives better for a long time, even if that achievement is eventually superseded by later events.